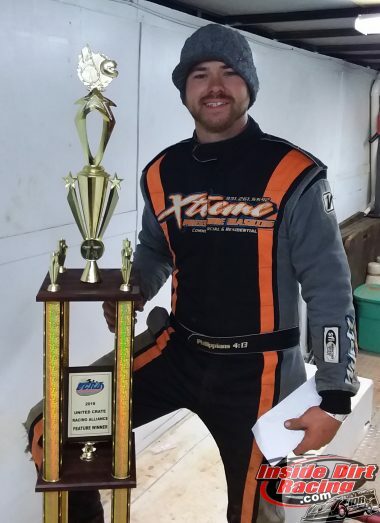 Jesse Lowe picked a big victory last Saturday night when brought home a $2,000 payday from the United Championship Racing Alliance sanctioned event held at the I-75 Raceway. Those kinds of wins almost became commonplace in 2017 when the No. 5J CVR Race Car pulled into victory lane a total of 23 times at the end of Crate Late Model features held all over the east Tennessee region. While the Crossville, TN driver has not had a bad season in 2018 by any stretch of the imagination, the nine checkered flags garnered to this point have left the team wanting more. 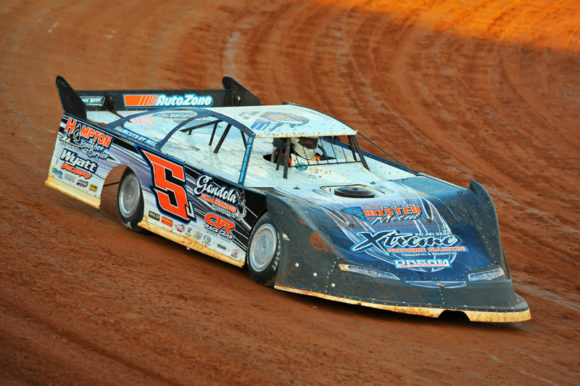 After changing chassis brands at the beginning of the current campaign, Lowe transitioned back to the more familiar cars built by chassis guru Chip Vineyard. The 25-year-old racer realizes that struggles are going to be a part of racing. The key is to minimize the down times and take full advantage of the upswings. Lowe’s win at I-75 indicates that his team is may very well be back on one of those upswings. And the No. 5J organization is racing at this point in the season with very little pressure on them, which makes it easier to do their thing. Lowe says that his team has maintained their optimism despite results that were sometimes disappointing. Ultimately, winning races will cure any ills that a race team might experience. “Last year we were winning quite a bit of races and we had the finances to make sure we had fresh stuff on the car all the time,” Lowe recalled. “That helps tremendously when you roll in with new tires, and your shocks are fresh, and you’ve got fresh springs. All that stuff makes a difference. 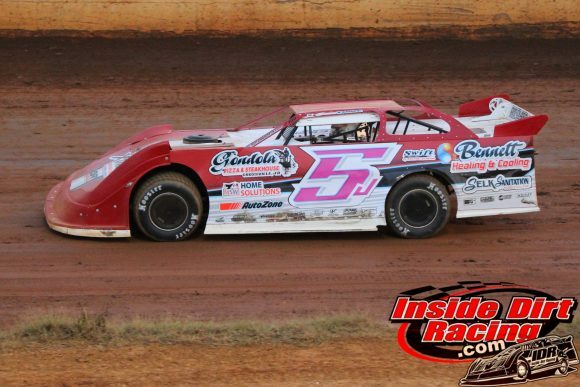 Lowe plans to be back in action for another big race on November 3rd at the Volunteer Speedway when Crate Late Model racers will be fighting for a $3,000-to-win purse.